It’s the end of another profitable and successful season for your construction business or forestry crew. 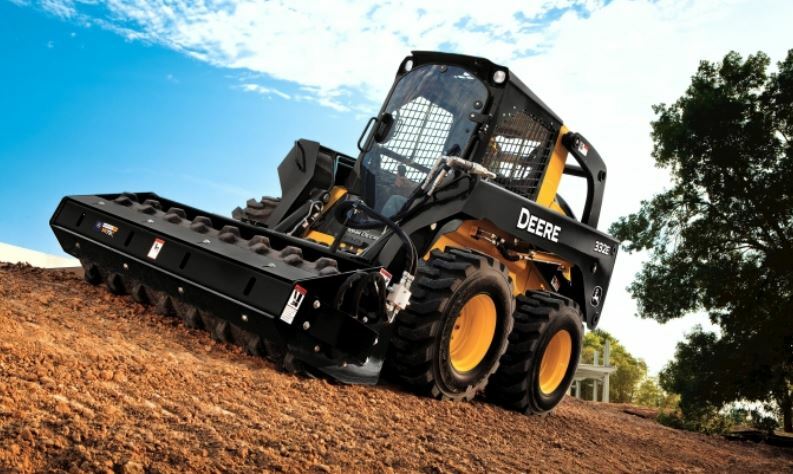 Despite the productive term, you’re left asking one question: How can I make the best use of my compact construction machinery in the off-season? Below are a few useful tips, suggestions, and options for accomplishing exactly that. With a little over 75 years of experience, Papé Machinery Construction & Forestry has plenty to offer in the way of off-season revenue ideas for your business. Whether you’re looking to buy or rent John Deere attachments or compact equipment to enhance your current fleet of compact construction machinery, your first order of business: determine upfront costs. If your off-season work options are abundant and steady, buying new compact equipment or attachments might make the most sense for your business. If off-season contracts tend to be patchy and all over the map, renting the equipment might be better. Regardless, it’s important to take all factors into consideration, including future storage and maintenance costs associated with buying compact machinery attachments. Thanks to compact equipment rentals, you can experience all the off-season revenue associated with owning a variety of compact construction machinery and attachments, without actually having to own them. Compact equipment rentals help keep overhead costs low and revenue booming, especially throughout the off-season. From Hitachi excavators to John Deere attachments like skid steer loader attachments and breaker attachments, compact equipment rentals give you the variety you need and the low-cost freedom you want. To learn more about how Papé keeps you moving, and about which compact equipment rentals you need to help increase off-season revenue, visit any of our Papé Machinery Construction & Forestry locations today.